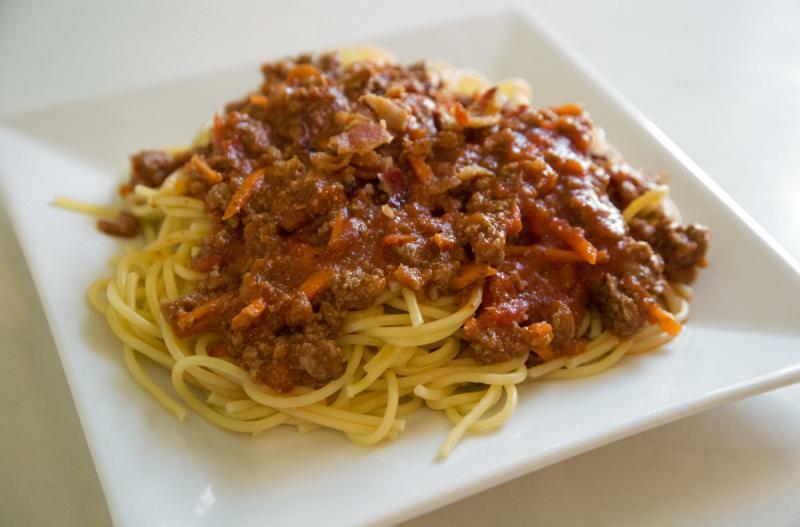 I love having this delicious sauce in the freezer for a quick weeknight meal! Shred the carrots. Finely chop the celery and onion. In a large saucepan, brown the ground beef with the minced onion and garlic powder. Drain and return to saucepan. Stir in the crushed tomatoes, Italian seasoning, shredded carrots, chopped celery, chopped onion and crumbled bacon. Bring to bubbling and reduce heat and simmer for 5 minutes to allow flavors to mingle. 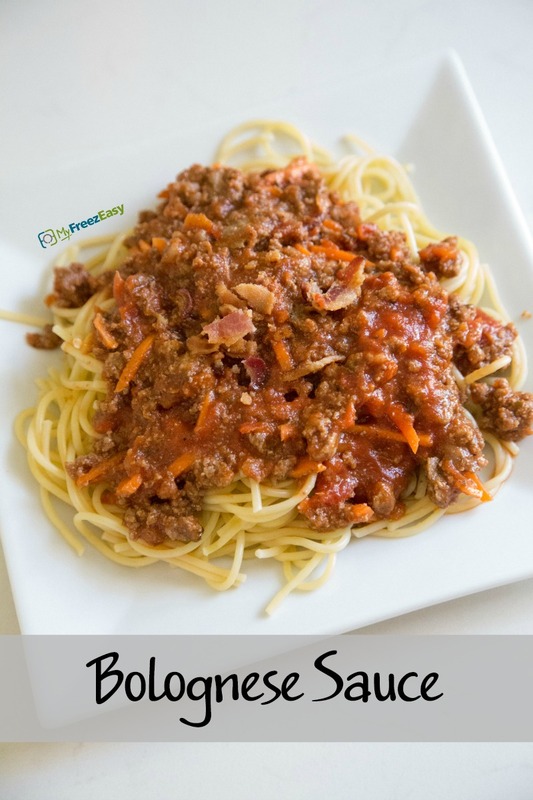 Serve Bolognese Sauce over pasta with grated Parmesan garnish and side of veggies. Cook and crumble 8 slices bacon. Peel and shred 8 whole carrots. Finely chop 2 celery stalks and 1 small white onion. Put baggie in the freezer and freeze up to 6 months in fridge freezer or 12 months in a deep freezer. Thaw in the fridge overnight, or a warm bowl of water for about 20 minutes, before transferring to a saucepan and reheating. Omit the grated Parmesan cheese for dairy-free meal. Thaw and reheat in saucepan or large skillet and simmer for 10 minutes. Serve with pasta and veggies.